For the first time in history eChannelling PLC launched its service at Ampara General Hospital marking it as the first district Hospital in Sri Lanka to have the service. 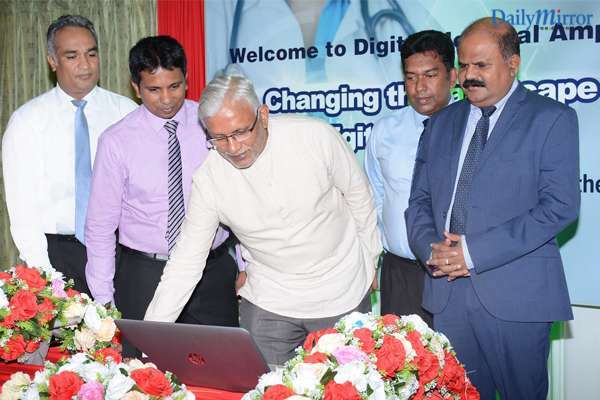 eChannelling PLC, the largest Doctor Channeling Network in Sri Lanka, along with Mobitel, and Information and Communication Technology Agency of Sri Lanka (ICTA) have embarked on a national endeavour – “eChannelling for Government Hospitals” - as a service provider for OPD time reservation at government hospitals. This project is carried out under the guidance of the Ministry of Health, Ministry of Telecommunication and Digital Infrastructure and Foreign Employment, and ICTA to build a healthier nation by upgrading the existing health care system in Sri Lanka and enhancing its position in global rankings. This historic partnership will vastly facilitate smooth access to medical care for government hospital patients. eChannelling believes this service will enhance convenience for government hospital patients and save time and energy spent waiting in queues..